LOS ANGELES (April 10, 2019)—Winds picked up again this afternoon causing additional power outages in some areas of the City as crews continued restoring power to those affected by earlier outages​. As of 9:30 p.m. today, the number of customers without power is down to approximately 11,000 out of 1.5 million customers served by LADWP. Since the start of high winds late afternoon Tuesday, crews have restored power to over 77,000 customers. Due to the high number of outages requiring repairs and the time consuming, complex repair work required in some cases, some power outages have exceeded 24 hours in duration and remaining outages may take an additional 12 – 16 hours to restore, based on the best available estimate. 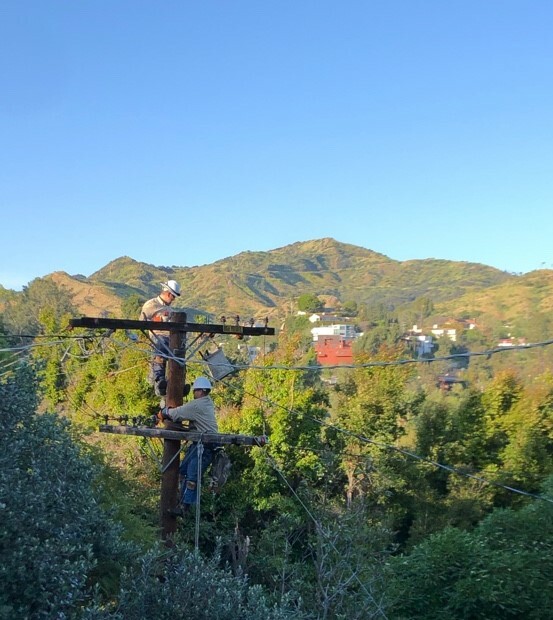 Our crews are prioritizing their restoration work based on the oldest remaining outages along with outages that may pose public safety hazards such as ones caused by downed wires. At this time, the most affected neighborhoods include portions of South LA, Exposition Park, Harvard Heights, Canoga Park, Mission Hills, Silver Lake, Mar Vista and Wilmington. We thank our customers in advance for their continued patience and understanding as our crews work as safely as possible to restore power as quickly as they can to affected customers.